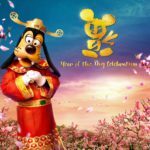 As Chinese New Year is about to begin, Shanghai Disney Resort has announced some of their exciting plans for the 2019 celebration. 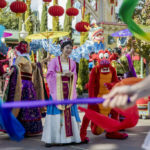 Guests visiting the resort will enjoy entertainment, new foods, merchandise, and more in honor of the Year of the Pig. Shanghai Disney Resort is ready to usher in the Year of the Pig and help guests rediscover the joy of this much loved holiday by celebrating Chinese traditions with a special touch of Disney magic. From January 19 to February 19, the resort will offer guests an unforgettable Chinese New Year experience, with offerings and activities that celebrate Chinese customs and create new memories for families and friends of all ages. Mickey Avenue will also be covered in traditional holiday decorations designed to immerse guests in the festive experience. StellaLou dressed in their newest Chinese New Year costumes. 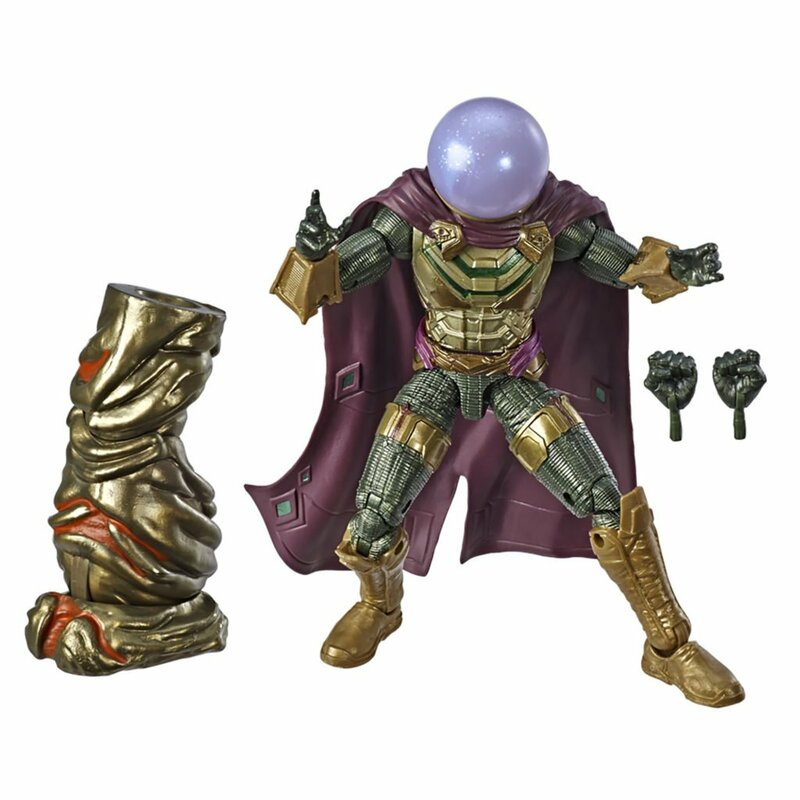 Goofy will make special appearances in his God of Fortune costume too! Guests can take beautiful pictures with the characters in front of photo backdrops inspired by the New Year. Since this is the Year of the Pig, Hamm – the hilarious pig from the Toy Story films – will be featured throughout the resort, signifying luck and good fortune. In the Garden of the Twelve Friends, the pig zodiac will also be adorned with golden coins and red couplets, creating a special photo opportunity for guests. A beautiful archway and spinning centerpiece in the Gardens of Imagination will also help create happy holiday memories as guests pose for pictures with family and friends. January 25 – 26 and every day from February 4 – 10 and on the Lantern Festival (February 19), the nightly showing of Ignite the Dream: A Nighttime Spectacular of Magic and Light will be topped off with the Chinese New Year 2019 Firework Celebration: A Feast of Love and Light. Each morning throughout the entire holiday season, guests can also witness a customary drum ceremony near the Storytellers Statue. Mickey and Minnie Mouse will preside over a daily performance that fills each day with good fortune and happy wishes. At special times throughout the day, Mickey and his pals will also gather in Celebration Square for a special performance of Shanghai Swing. The Wishing Garden will return this year as the Garden of the Twelve Friends undergoes a festive transformation into a special holiday-themed garden, with celebratory decorations centered on Hamm’s zodiac mosaic. Guests can write their New Year wishes down on wish cards and hang them in set locations around the garden area. Guests can also discover a special Chinese New Year carnival at the Wishing Star Market in Disneytown. In the center of the market, the Wishing Star Skating Rink will also provide fun skating experiences for guests of all ages. Additional festive décor and charming photo locations throughout Disneytown will also give visitors another way to capture pictures and celebrate a prosperous Year of the Pig. The Mickey in Shanghai line provides a great selection of souvenirs to immortalize a visit, and great gift ideas for loved ones this holiday season. The reunion dinner is a longstanding tradition in Chinese culture, and is the most important meal of the year for Chinese families. For the first time ever, on February 4 and 5, Shanghai Disney Resort will host special reunion dinners at the Shanghai Disneyland Hotel. Presented in customary style, the sumptuous dinner service will include dishes that not only taste delicious, but are also a feast for the eyes – with beautiful presentations and auspicious overtones. During the special meal, children can enjoy traditional paper-cutting activities, sugar painting, and can even try making their own dumplings. Lumière’s Kitchen in the Shanghai Disneyland Hotel will also host a Chinese New Year Feast from February 3 to 10. Their magnificent buffet will include a wide range of fresh seafood, meats, traditional Chinese and western dishes and a vast variety of New Year-themed desserts. 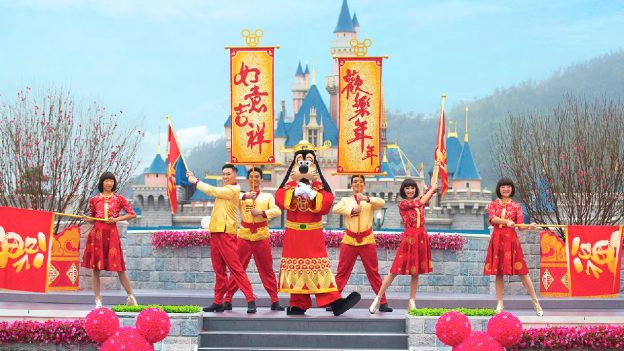 Guests will also have a number of opportunities to take family photos with Mickey, Minnie and other Disney friends dressed in authentic Chinese New Year costumes. Wandering Moon Restaurant is offering a new range of dishes and services for Chinese New Year. A new table service is being introduced for those guests looking to enjoy a more full-service dining experience during their park visit. Royal Banquet Hall will debut a festive family reunion tabletop feast for the Chinese New Year holiday. Designed to pamper guests with royal courtesy and a dash of Disney magic, guests will experience fairy tale delicacies with friends and family within the magical realm of the Enchanted Storybook Castle. This year, Shanghai Disney Resort is honoring beloved traditions by releasing more than 40 limited-edition Chinese New Year merchandise items. The new Chinese New Year merchandise collection takes inspiration from customary colors and symbols in the Chinese culture helping to create a diverse array of holiday gift choices. Lucky Bags are back this year, filled with exclusive holiday merchandise inspired by Hamm the pig. Guests purchasing Lucky Bags will have the added chance to win roundtrip air tickets to Hong Kong, sponsored by China Eastern Airlines. 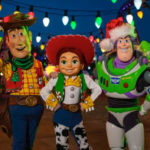 At the Toy Story Hotel, character-inspired lanterns adorn the entryway, the lobby, and beyond, with traditional decorations and bright Disney additions creating extra festive fun for guests. A can’t-miss sculpture featuring Hamm and a mountain of golden coins delivers a warm welcome, and wishes guests a fortuitous Year of the Pig. 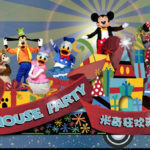 At Shanghai Disneyland Hotel, guests will be greeted with impressive red and gold lanterns, gorgeous garlands, firecracker statues, and intricate peach wood decorations throughout the entrance and lobby, plus cheerful surprises including a meet and greet with Goofy in his Chinese New Year outfit and a host of other traditional Chinese New Year activities will be on offer. Guests can also choose to stay in themed rooms fitted with thoughtful decorations inspired by Chinese New Year Mickey and Minnie to complete their immersive holiday stay.